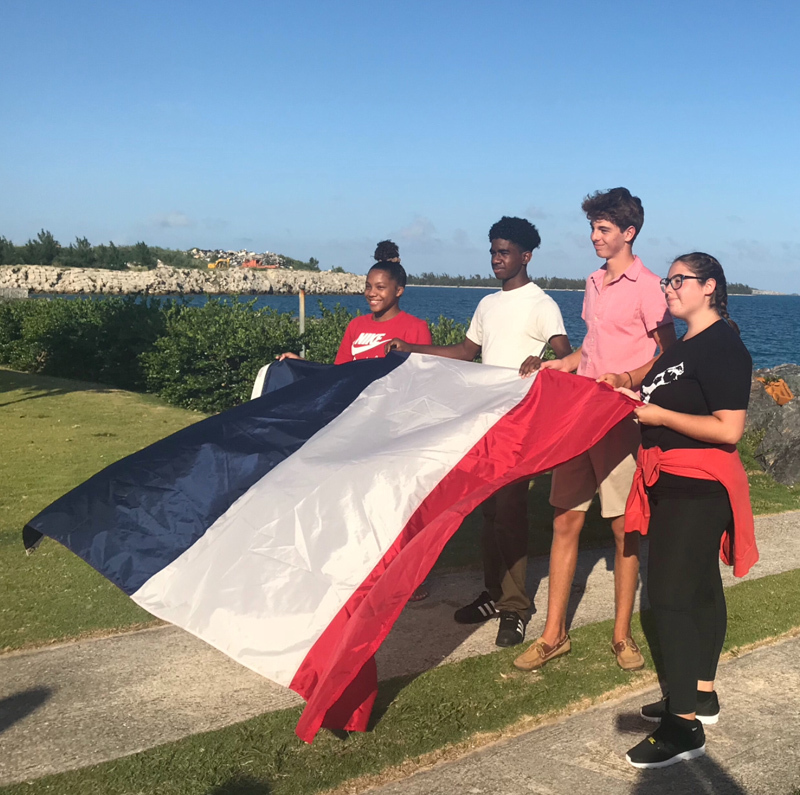 The Alliance Francais des Bermudes are in full celebration mode, saying they have three things to celebrate; France making it to the World Cup final, four young Bermudian students recently leaving the island to study in France, and this years Bastille celebrations set to take place on Saturday. “The Alliance Francais des Bermudes has three things to celebrate. The first is that France has made it to the finals of the FIFA World Cup and will play this Sunday,” the organisation said. “All supporters of the French team are invited to watch with Alliance Francais des Bermudes members this Sunday at the Fairmont Southampton Boundary Sports Bar & Grille. “The second is that four young Bermudian students [pictured below] left for Biarritz, France, last Saturday, to spend three and half weeks in a French immersion language school, a programme the L’Alliance Francaise des Bermudes sponsored with the assistance of the Christian Humann Foundation. “Situated on the French’s Basque coast, the students will enjoy cultural tours and daily lessons at a surf school, after their morning intensive French lessons. They will also spend several days in Paris at the end of their stay. All of them will be excited to watch the FIFA World Cup Final with their host families in Biarritz! “The student were winners of the 2018 annual Alliance Frances des Bermudes student competition. Their names are Daria Symonds [Berkeley Institute], Ywionne Darrell [Saltus], JP Didyk [Somersfield] and Maya Leighton [Mount Saint Agnes Academy]. “The third is that this years Bastille celebrations, which will take place this Saturday 14th July at the Fairmont Southampton, deadline has been extended to midnight tonight.